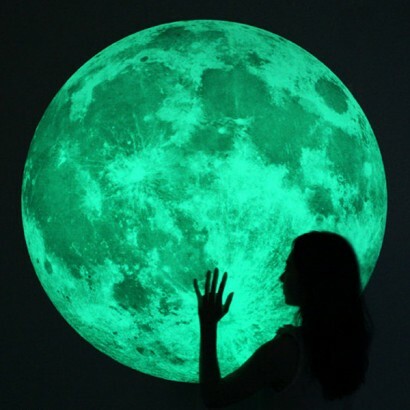 Using a real photo of the moon, taken from Nantes, West France, these fantastic massive moon stickers absorb light in the day and as night falls emit a soft beautiful green glow. These stickers come on high quality vinyl with a strong permanent adhesive back so you can stick to your walls or ceilings for a fantastic unusual and staggering piece of contemporary luminous art. 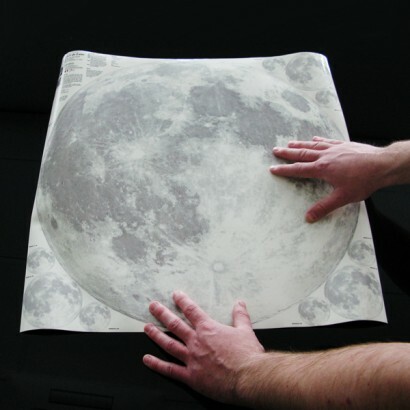 Available in a rather large 50cm diameter and a whopping 100cm diameter which makes the image four times the area than the large one! These glow moon stickers are the kind of 'glow in the dark' stickers we could only dream of as children, but now we can have them in all their huge glowing glory. These stickers are also available in medium and small so that you can make your own moon wall art or use to decorate kids rooms. 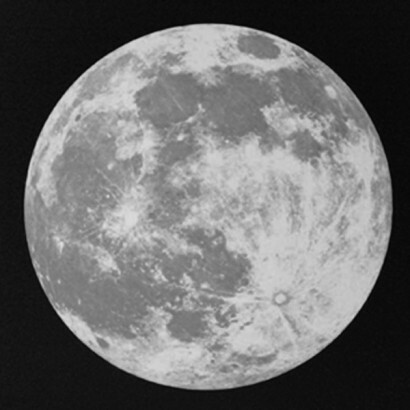 The large moonlight sticker includes nine bonus moons, three with an 8cm diameter and six with a 3.5cm diameter in grey. 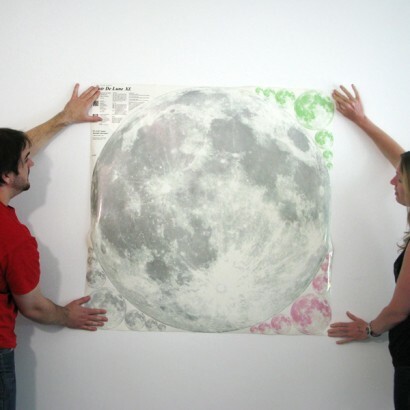 The extra large sticker comes with three sets of bonus moons one at 16cm diameter, two at 7.5cm diameter, two at 4.5cm diameter and two at 2.5cm diameter each set of seven bonus moons comes in grey, pink and green totaling a fabulous twenty one bonus moons! 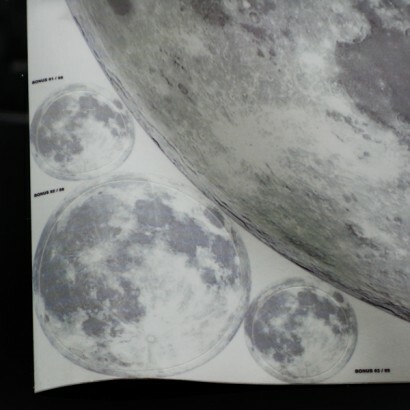 Extra large moonlight sticker comes with a whopping 21 bonus moon stickers! 3. To prevent installation mistakes it's recommended that 2-3 people help to place the sticker on the wall. Person one will hold the wall sticker on the wall, person two will press the sticker gently from centre out to the sides; and person three will peel off the back paper slowly. 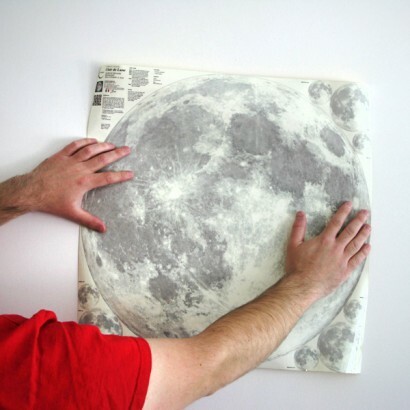 I do find it is a lot of money for a sticker and perhaps you are trying to justify the price by throwing in 9 smaller moons, i only wanted one moon though! Also we have some lines in it where the coating has come away, maybe our fault when flattening it out? So after paying that amount of money it is not perfect. However it does look fab and i would recommend it to anyone thinking of buying one.